"Fitting a walk into a busy life can be challenging, so I suggest walking rather driving to work or to run errands as often as you can - in other words, think of walking as alternative transportation." Environmental pollution from vehicle exhaust fumes is one of the major health issues posed to inhabitants of our towns and cities. In the UK it is estimated that there are in excess of 30,000 premature deaths per year due directly to air pollution. 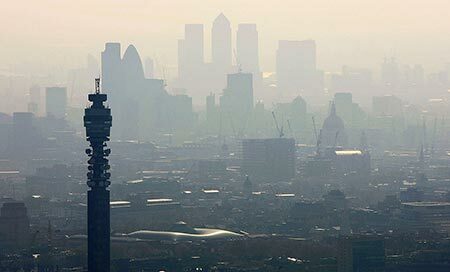 The European Environment Agency attributes 37,800 and 14,100 deaths to PM2.5 and nitrogen dioxide pollution respectively. Not all of the blame cannot be laid at the door of the automobile. Industry and the supposedly ecological practice of burning wood are both major contributors to city air pollution. 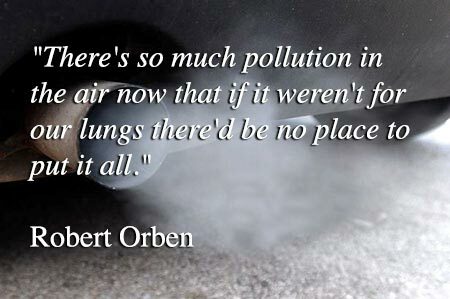 It is also true that much vehicle related pollution would be avoidable by the application of cohesive transport policies in our towns and changes to our individual attitudes. Before the days of cheap abundant fuel, a weekly trip to the local market would have been considered sufficient. Today most of us think nothing of driving a few hundred yards to collect some important item… like a pack of cigarettes! Pollution reduction has been partially tackled in the city of London by the installation of the pollution exclusion zone which makes it financially prohibitive to drive an excessively polluting vehicle in the zone. Much has also been done by the vehicle manufacturers themselves, with emissions and fuel consumption per vehicle being drastically reduced in the last 20 years. If all vehicle owners fitted an Ecopra fuel saver, we would reduce current vehicle related particle emissions by 60 or 70%, and CO2 by 10% at the same time as a significant reduction in NOx pollution. In order for an internal combustion engine to function 1 litre of fuel must consume 15,000 litres of air. This is about the same as the average human adult uses in 5 or 6 hours. Indifference combined with the vested interests of diverse sectors of the economy are major barriers to progress, but we believe individual commercial choices made by millions of concerned consumers worldwide are capable of influencing significant change.